Today I am joining with other bloggers for a monthly Hoagies Gifted blog hop to share our views on the question that causes so many arguments and intrigues pretty much everyone, Gifted? How? What are the faces of giftedness? How to Define Intelligence and Giftedness? Intelligence defines the ways in which we, humans, think, learn, and solve problems, but it has more than one dimension. I subscribe to multiple intelligences theory by Dr. Gardner who identified initially 7 intelligence modalities (2 were added later). The dimensions of intelligence that are usually measured by IQ tests are linguistic and logical-mathematical. Davidson Institute has a great article describing characteristics of intellectually advanced young people – the ones that really stood out to me was early abilities for reading and math, and “unusual interests”. The most interesting information that I discovered lately are profiles of the gifted and talented. 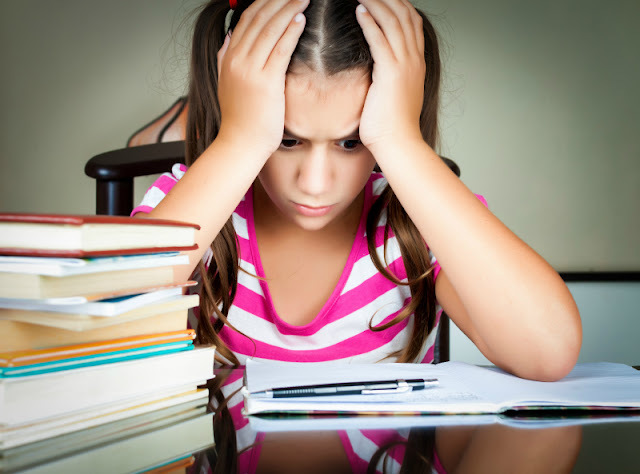 According to this article, there are six different types of gifted individuals I think that this article is a must read, especially for parents of gifted students struggling in school. They can also take a quiz and follow a series on different types of giftedness on Jade Ann Rivera blog. What Does “Gifted” Mean to Me? My gifted child is different and knows it. She told me the other day, I am different. I don’t want to watch movies. I don’t like macaroni and cheese or pizza. I don’t know who Katie Perry is. And it’s OK, because I like who I am. My gifted child is a speed-reading bookworm. She reads for pleasure, she reads when she is tired, she reads when she needs to calm down. Reading is her way to escape from problems into a fantasy world. She is currently not interested in non-fiction and only remembers non-fiction facts when they tickle her fancy. She has very good recall for fiction. My gifted child is logical and fair. She wants rules to be followed as long as they are fair (and as long as she remembers what they are). She is extremely honest even when she does something wrong even when nobody is looking. My gifted child craves challenge. This can be a problem when she is learning something that requires repetition of basic steps, such as, for example, learning to play tennis. So many time I heard her arguing with her coach that practicing basic moves is boring and asking for more challenging exercises. Then she can’t do them and gets frustrated. My gifted child is a fidgeter. She absent-mindedly “fiddles” with things while reading, which sometimes drives me and my husband crazy. At least she got much better in terms of using objects for her fiddling and not her body parts. My gifted child loves to talk. She was an early talker and got a lot of “positive feedback” (aka You are SO smart! comments) from strangers for her vocabulary. Now we are trying to teach her not to be a person who loves to hear herself talk, talks to impress and fails to listen. Not easy! My gifted child is bossy. She is an only child and an intelligent child. She is not interested in having as many friends as possible. She wants friends who will listen to her ideas or at least are willing to compromise. Luckily she does have friends that she “clicks with”. My gifted child wants recognition. If I look at the giftedness types, she would fall in “successful gifted” category (also known as “high achieving”). She wants to get good grades and reading points in her school’s Accelerated Reader program. She enjoys external rewards and adult attention that her performance brings her. As we all know, this road is a slippery road, and this is why I am happy to have a teacher this year that would expect a bit more of her than is required by the third grade program, so her rewards will hopefully have more meaning. My gifted child has low tolerance for repetition. Sadly, this brings mistakes in simple tasks and the need for rework. We are making a point to teach her the need to check her work and to practice the skills she thinks she knows. We are using “small failures” approach by letting her fail, so the next time she aspires to do better. My child is a dreamer. Quite often, she retreats into her own world while leaving things unfinished or forgetting things where she left them. While this is frustrating, it’s also endearing – her ability to disappear into herself so fully. Sometimes I get glimpses of that inner world that appears to be populated by Harry Potter and Percy Jackson characters when she asks a question or says something related to this work happening in her mind. I wish I knew more of it, but this world is her own and I won’t be prying open the doors into it. Each child is like a beautiful and fragile snowflake when they enter this world. It’s our job as parents to support their gifts, help them overcome their weaknesses, advocate for their needs and raise them to be kind and compassionate human beings regardless of how intelligent they are. Kids who have intelligent minds and kind hearts are our hope for the future. What makes your children unique? Follow Natalie Planet Smarty Pants's board Resources for Gifted Children on Pinterest. Check out Hoagies Gifted blog hop and follow Hoagies Gifted on Facebook! I love this post on gifted children. I too follow multiple intelligence theory and find it really helpful for kids to know the best way for them to learn. I am bookmarking this so I can come back and read the articles you listed. Thanks! I found it very interesting to see how Smarty fits in with gifted characteristics. Sharing. It's interesting to compare how your views if giftedness has changed within the last few years. I love the balanced way you look at your child. It is easy to focus on strengths or weaknesses, but you see the whole child. Emma is probably most gifted in writing, and Johnny with drawing. Lily has an incredible ability to concentrate and focus. Anna is gifted with seeing the world as a happy and humorous place. I still believe acceleration is wonderful for truly gifted children. So much of your description of your daughter could fit mine, it's kind of scary. My girl certainly has her own plans and is rather upset when you don't follow them. For me the question has never been whether a person is gifted or not, but rather - what they do with their gifts. Can they take their academic abilities and translate them into real world achievements? The people who manage that, tend to be the ones we think of as "geniuses". Excellent post! I just found your blog and love how your list described my son perfectly. He is definitely his own, unique person and we both embrace all of it as challenging as it can be at times. He's a happy child emotionally and academically because of it! Thanks for this post. I also subscribe to the multiple intelligences approach and we can see a different form in each of our kids. It's important that we don't make them feel there's only one way to be "smart". One of the most remarkable things about my "high achiever" gifted 7 year old is his incredible memory. He is told something once or overhears something one time and it just sticks. Unless I ask him to get some socks from upstairs...he will come down with a new shirt on instead... the simply or mundane? Those seep out as remarkably fast!